SornaCommerce is a fully responsive WordPress WooCommerce theme, perfect for your e-commerce website. It offers a great design and an awesome collection of features, with which you can achieve a remarkable e-commerce experience for your website. Intuitive and easy to use, packed with premium features and plugins, Artemis brings perfection to the WordPress environment. 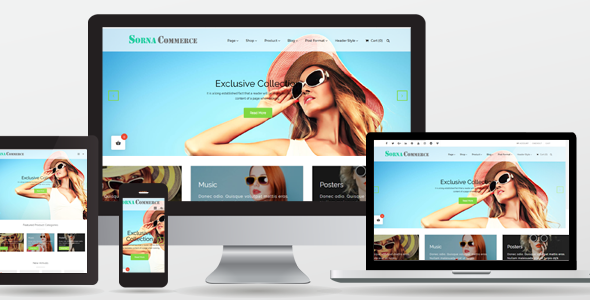 It is an up-to-date theme with the latest WordPress eCommerce trends and can handle all the technical stuff for you. The theme comes with an extensive admin panel, packed with various options so you can easily modify styles, colors, fonts and other aspects of the theme. Stand out from your competitors with this sleek.